Free Birth Control for Everyone! Home › Health › Free Birth Control for Everyone! In the coming months, the Department of Health & Human Services (HHS) is set to identify preventive health services that should be covered at no cost to patients, as required by the new health care law. For women, this would include mammograms and folic acid, as well as things like smoking cessation treatments. But what about birth control? Contraception is critical to helping women achieve healthy pregnancies. Women who wait for some time after delivery before conceiving their next child lower their risk of adverse perinatal outcomes, including low birth weight, preterm birth, and small-for-size gestational age. And a planned pregnancy affords women an opportunity to make behavioral changes that lead to better birth outcomes…Many contraceptives have significant preventive benefits beyond their contraceptive benefits. 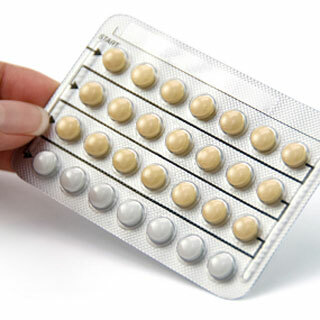 Oral contraceptives, for example, lower rates of pelvic inflammatory disease, cancers of the ovary and endometrium, recurrent ovarian cysts, benign breast cysts, and fibroadenomas. Ta-da! This is a very welcome development. There is a plethora of evidence — both anecdotal and clinical — supporting the need to make birth control available at no cost to patients. One can only hope that the HHS takes the IOM’s recommendations under consideration. Women’s well-being depends on it. What can you do? Be sure to take a moment and sign the NWLC’s petition to make contraceptives available without co-pays…. and tell your friends to do the same!